The wait is almost over as today Adidas has announced the official release date for their Dragon Ball Z collaboration. Fans have been waiting for the release of the shoes for almost a year and in just a few more weeks, sneakerheads will be able to purchase themselves a pair or two. As most fans of this upcoming collaboration know, the first iconic shoes that will be released is Son Goku V.S. Frieza, the pivotal battle that not only paved the way for the future of the Dragonball series but as well helped redefine the anime genre. What spanned over 20 episodes, the two anime giants fought on planet Namek until one reigned victoriously. Throughout the years this legendary battle has been the criterion of anime culture. 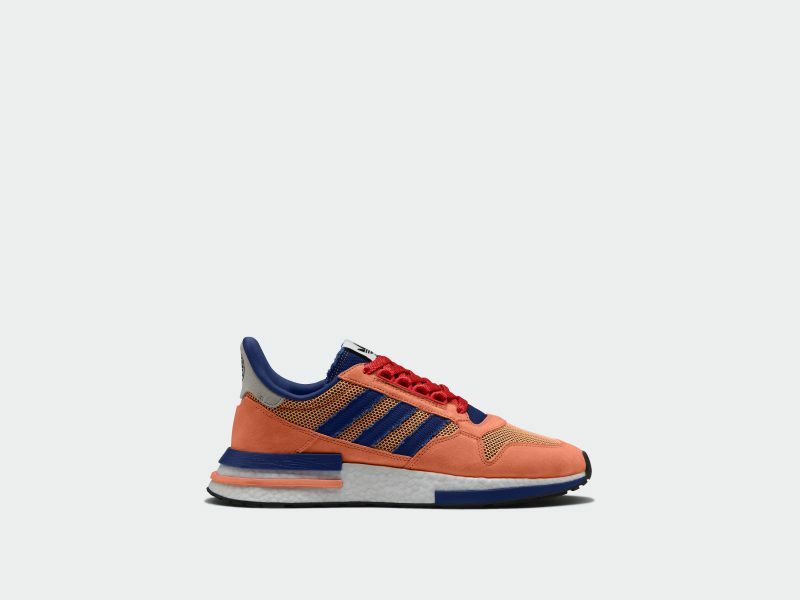 The Son Goku shoe will be a remodeled Adidas ZX 500rm which will assume a blue and orange colorway which is a resemblance to Goku’s famous outfit. 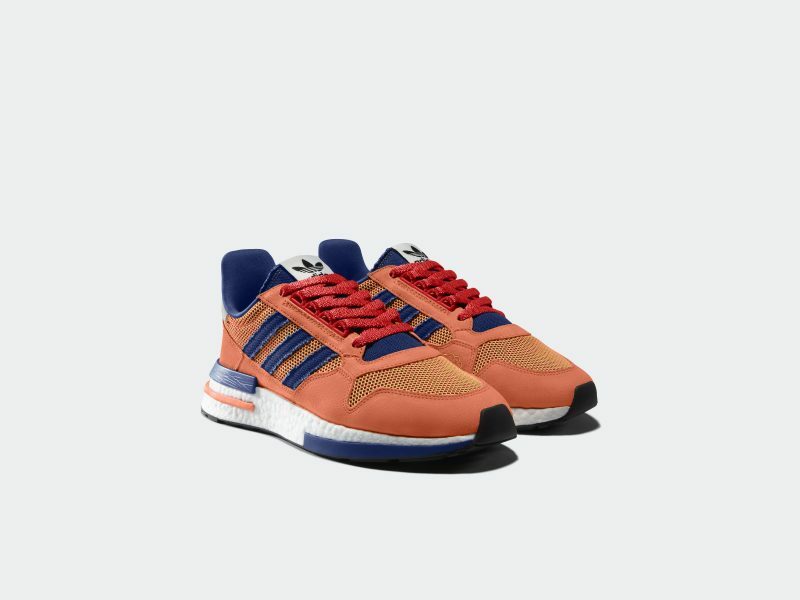 The shoe’s mesh and suede design will stay true to the original ZX500, all while the 3-stripe mark and tongue will reference Goku’s battle-torn jumpsuit. On the toe box and sides, you’ll see a faded yellow mesh which signifies Goku’s Super Saiyan transformation. Rounding out the design of the shoe are hidden details that pay an homage to the history of Goku. There’s an embroidery of Goku’s flying nimbus as well as Goku’s kanji on the heel patch. 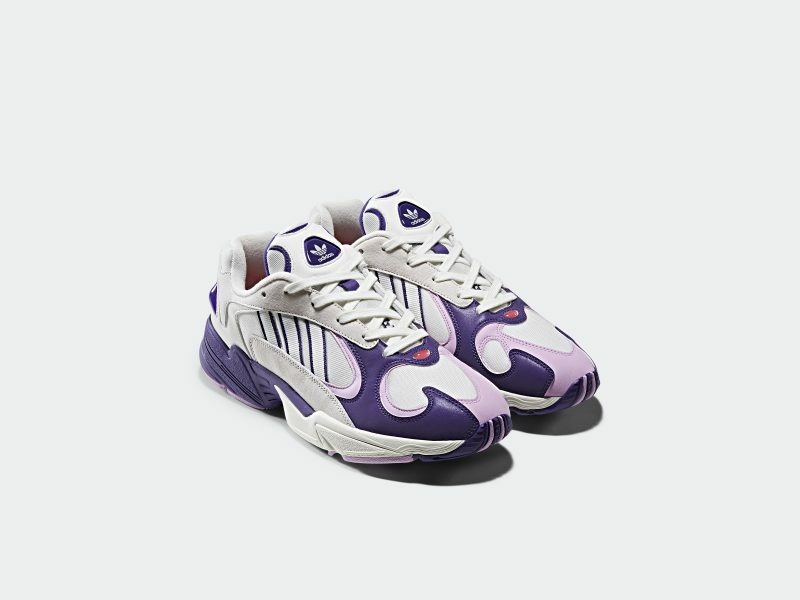 Goku’s nemesis Frieza will be applied to the new Adidas Yung 1 silhouette with a White and Purple colorway. 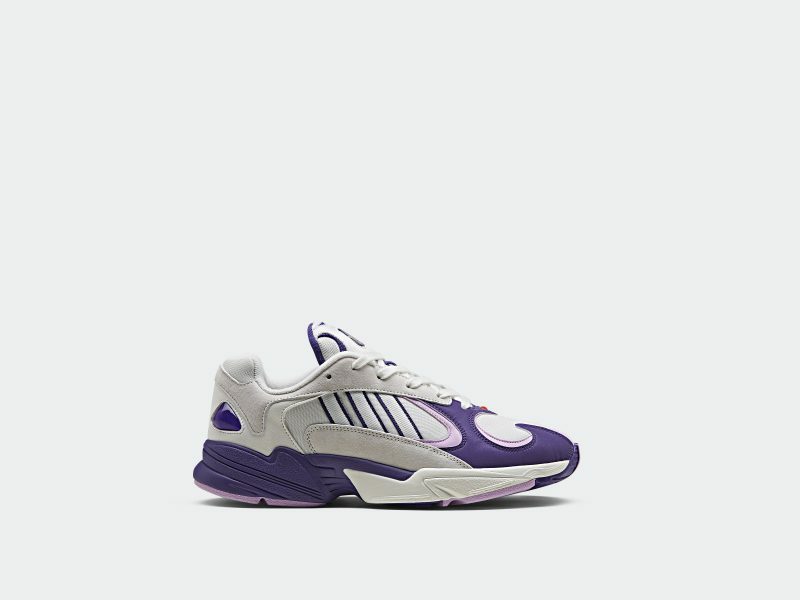 The shoe will have a fluid and disruptive design that will resemble perfectly Frieza’s menacing final form. The shoe will be constructed with suede and textiles with pink accents throughout. TPU material will symbolize Frieza’s glossy shoulder and head elements. The medial side of the shoe will carry an embossed suede patch that references Frieza’s first form. To finish off the shoe, there will be Dragon Ball Z details on the tongue and sock liner that pays tribute to this Dragonball character. I grew up on the Dragon Ball series, and I’m glad to see that it hasn’t faded away. Adidas continues to show why they are one of the leading manufacturers in today’s sneaker world by teaming up with Toei Animation. Dragonball has helped shape an entire generation, and with this collaboration, Adidas helps widen the audience of a genre that was once encompassed by a certain niche. Each DBZ/Adidas pair will be showcased in a special collaborative package that features an individual Dragon Ball detail, with each box coming together to create a single piece of artwork. Look for the shoes to hit Adidas.com on September 29th. The post Adidas announces release of long-awaited Dragon Ball Z collaboration appeared first on Nerd Reactor.